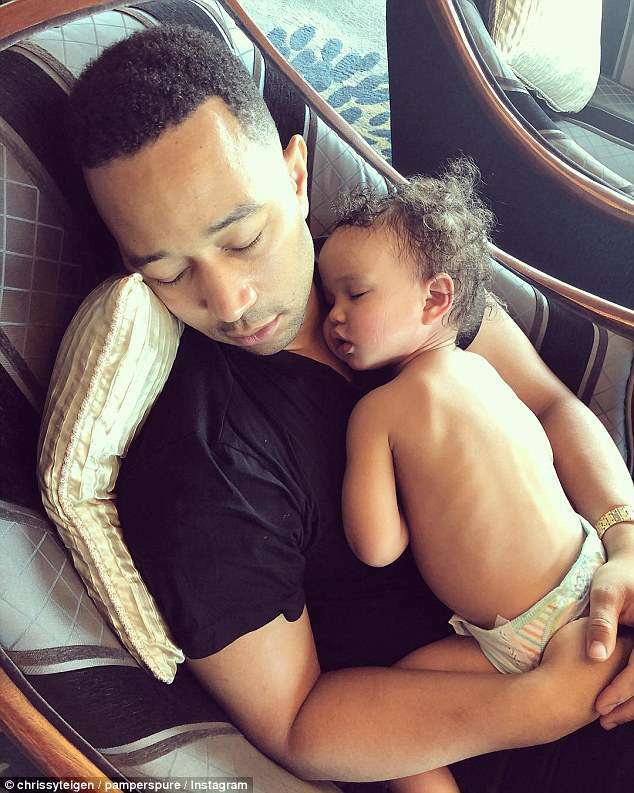 Singer John Legend is a new dad and while his daughter Luna’s infectious smile is what we’d like to think has inspired him to write a new song, it’s her stinky poop that has the songwriter belting out tunes about her stool. In a tender Pampers commercial, the 39-year-old musician sings to Luna, the daughter he shares with model Chrissy Teigen, as he changes her “stinky” diaper, reports Daily Mail. Legend looks rather comfortable on daddy diaper duty and he’s recently had another baby which means he and Teigen will be changing quite a few Pampers for some time. Teigan assumed the role as Creative Consultant for the Pampers Pure Collection diapers back in March. As part of the role, she’s enlisted her husband for the cute commercial along with a few other diaper-changing dads. Luna’s been all over Teigan’s Instagram modeling her Pampers too. The little cutie is now walking, but it looks like she’s not quite ready to put that poopy in the potty just yet. Fortunately for all involved, daddy’s got it covered. “John’s been singing this song to Luna since her very first diaper change in the hospital and he hasn’t missed one opportunity since,” Chrissy explained on Twitter and Instagram, introducing the clip. “I present to you, the underground hit of our household – the stinky booty song! #StinkyBootyDuty #ProudCreativeConsultant,” a proud Teigan boasted. In the commercial, Legend kneels in front of Luna and starts singing. “You ready Luna?” he asks. “Somebody’s got a stinky booty! Her name is Luna and she made a poopy,” he starts singing. How Legend can sing and not hold his breath while changing Luna’s stinky poo at the same time still remains a mystery. The post John Legend is on daddy diaper duty singing to baby Luna in adorable new Pampers commercial appeared first on theGrio.